SUSHI ↔ Sushi Tsujita ↔ West L.A. Feeling brave? 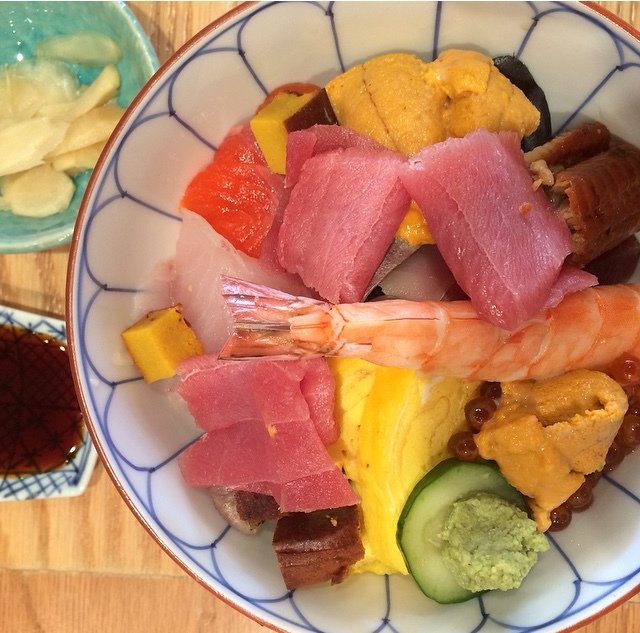 Head to Tsujita for an Omakase lunch bowl that features fishes such as barracuda, mackerel, john dory and uni (along with the basics like tuna, salmon and yellowtail). They have a certain amount of bowls available for $15, and when those run out the price goes up to $25. Sure that’s pricey for lunch but it doesn’t get more fresh & traditional than this. Impress your company by pronouncing this Chef’s choice style correctly: it’s “oh-mah-kah-say”. And then BOOM, you’re a foodie! 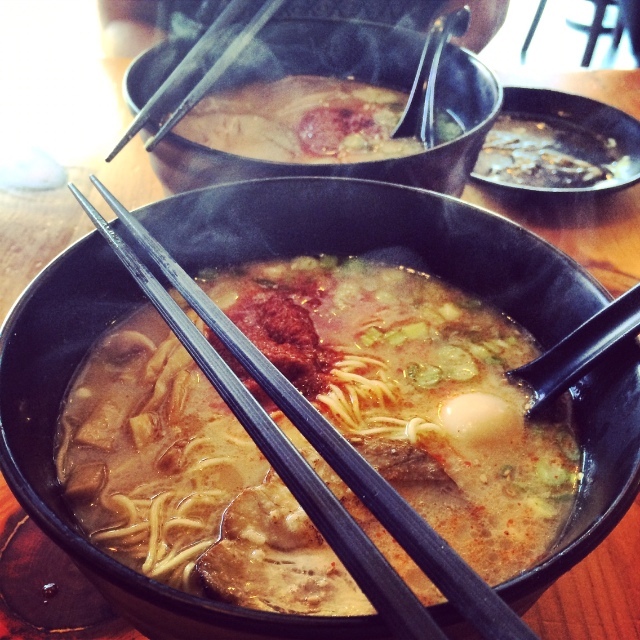 one ramen bowl, with everything…obviously. Known for its 20 hour boiling Tonkotsu broth, Ramen Yamadaya’s perfect temperature, ideal noodle consistency, and bold flavors, make it one of the best bowls in town. And if pork isn’t your thing, they offer a ramen with chicken broth that is equally as pleasing. You can sit for a quick meal or order to go — either way they get you in and out without ever leaving disappointed. Pingback: Bottega Louie + Friday Bonus. | eat.drink.dish.repeat.